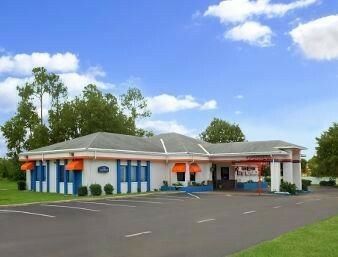 Property Location With a stay at Howard Johnson Ocala in Ocala, you&apos;ll be convenient to I-75 Super Flea Market and Ocala Grand Prix. This hotel is within close proximity of Hampton Aquatic Fun Center and Ocala Equestrian Complex.Rooms Make yourself at home in one of the 125 air-conditioned guestrooms. Complimentary wired and wireless Internet access keeps you connected, and cable programming provides entertainment. Conveniences include phones, as well as safes and desks.Rec, Spa, Premium Amenities Take advantage of recreational opportunities offered, including an outdoor pool, a spa tub, and a fitness center. This hotel also features complimentary wireless Internet access, gift shops/newsstands, and a television in the lobby.Dining Satisfy your appetite at the hotel&apos;s restaurant, which serves breakfast and dinner, or stay in and take advantage of room service (during limited hours). Quench your thirst with your favorite drink at a bar/lounge.Business, Other Amenities Featured amenities include complimentary high-speed (wired) Internet access, a business center, and a computer station. Planning an event in Ocala? This hotel has facilities measuring 1800 square feet (162 square meters), including a meeting room. Free self parking is available onsite.